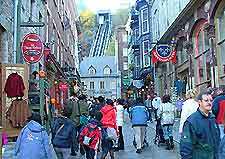 At the centre of French Canada, Quebec is one of North America's most unique cities. Its housing market has seen unprecedented growth, gaining nearly 25 percent in the past decade. Even the economic downtown and housing crises that tore through the US seems to have had little bearing on Quebec City's housing market. Before the US housing bust, property prices in Quebec City were on an upswing. Even now, as the US struggles to regain its footing, Quebec City is seeing measured growth along with the rest of Canada. Property prices in Quebec City are among the lowest in the country, a startling fact considering the city's old-world charm and distinct European flavour. Old Quebec has the most enviable apartments and condominiums, housed in restored heritage buildings within walking distance of the city's most cherished sites. Beauport, on the St Lawrence River, has a country-farm atmosphere in the midst of the city. Even affordable homes and apartments in the suburbs have access to great dining and entertainment facilities. Quebec City doesn't have the thriving finance and business sectors to produce much demand for serviced apartments, but there are still several options in or near the city centre. These are convenient for potential property buyers who need a place to stay while they explore the market in Quebec City. Prices for serviced apartments are on par with those of three- or four-star hotels. In many ways, they're synonymous with long-stay hotels. Serviced apartments that do present better value for money generally require a minimum stay of anywhere from one to three months. These units are fully furnished and include access to facilities like fitness centres and swimming pools. 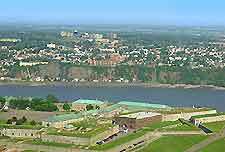 There are no major restrictions imposed on non-Canadians wishing to purchase property in Quebec City. Hiring a lawyer is key as there are a few nuances concerning residency. For example, a non-Canadian living on their property for more than six months a year may need to apply for immigrant status. Housing prices are highest in the old city, where townhouses and apartments are common, but the value for money is still excellent by national standards. There's also a premium attached to the cottages and farmhouses in Beauport. Most of the residential property is grouped in satellite suburbs like Sainte-Foy or Le Clap. 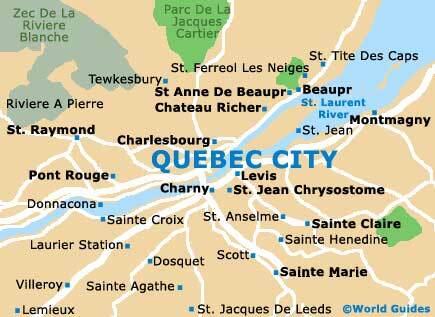 Quebec City real estate agencies are the best resource on local regulations and property availability. French is the majority language, but many business professionals speak English. It's essential to find a real estate agent and lawyer comfortable conducting business in English. Cominar is the largest commercial property owner in Quebec, with an extensive real estate portfolio. Avison Young is a Canadian-owned real estate company with a network of agents based in Quebec City. SSQ Real Estate is a major property manager in Quebec City, based in the centre of metropolitan Quebec. It develops residential and office space across the greater Quebec area.